Leukemia Fighter! (CML); I Am Dancing and Traveling My Way Through: Sprycel Dosage Dilemma: Help Me! After having an MRI and seeing a neurologist who assessed my pain and performed a multitude of tests, I had a preliminary, verbal report that stated that my test results were “negative”; meaning that there was no physical explanation for my pain. This did not surprise me as my pain only exists, when I am actively taking Sprycel. 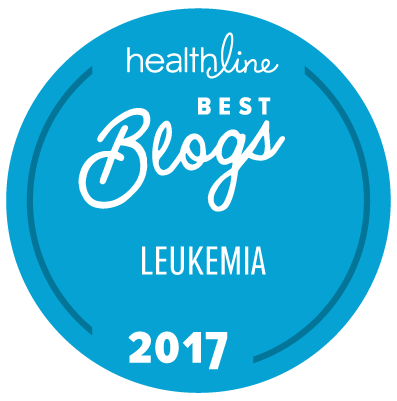 I was diagnosed with CML almost three years ago and have been absolutely diligent in my treatment. The only times that I have not taken Sprycel diligently, on time without missing a dose, was when I had Pleural Effusion and bronchitis; my oncologist instructed me to cease taking the Sprycel until both had cleared up. In addition to those two Sprycel vacations, there were two other times that I skipped a few doses; these were not sanctioned by my oncologist, they were my very own rebellion, due to the extreme pain that I was experiencing. So all in all, I have followed protocol to the “T”; through experimentation and diligence, I have achieved two negative PCR results, in a row. For this, I am extremely grateful and totally ecstatic. I am hoping and praying for a third! So, all of that being said, I am in a bit of a quandary. I still believe in my heart of hearts that the manner in which I am taking the Sprycel, is helping it to be better absorbed into my system, which in turn is resulting in a negative PCR, as well as increased side effects. I am still hoping and believing that if I obtain another negative PCR, on 70 mg of Sprycel a day, that there is a possibility that I may do the same on 50mg. I believe that there is a “sweet spot”; an specific amount of medication that will keep the CML at bay, while allowing me to have decent quality of life. 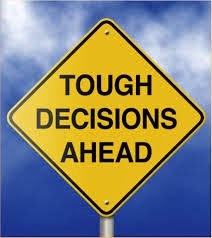 It is my belief that my oncologist will go whichever way that I choose, but I guess that I would like a bit more thought going into the decision. It seems to me that all factors should be considered and weighed before so quickly, jumping ship. Right now I am leaning towards sticking it out on Sprycel for two reasons; the first being the negative PCR’s, the second is the fact that I have no idea what side effects that I would suffer on Tasigna. 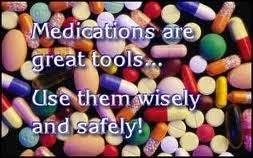 All of these medications come with side effects and none of us knows which ones will cause us the most discomfort; that coupled with the fact that I haven’t a clue HOW I will respond to a new drug. I just do not think that I am up for another re-adjustment period, at this time. Donna, that IS interesting; did you have side effects from the Levaquinn? Not any that I'm aware of. Occasionally my feet are numb but I think I've had that ever since I had my herniated disk. Like you, I attributed all my symptoms to something else; if it wasn't hereditary it had to be age related. The antibiotic coincidence has me concerned, though because I know a couple of people who have taken the same high powered meds. I was diagnosed on July 28, 2015. I was put on sprycel and after taking it for 2-3 months I had to stop. The pain was debilitating. I'm now on gleevec. I'm still having pain but it's not AS severe as when I was using sprycel. I've had frustrating experiences with Drs. I changed once when he insinuated that my pain was my weight and arthritis. I like my new dr. But his reply is similar. Too much to type but in a nutshell, I get the feeling that Drs think I should be happy for the med which I am!! But they overlook the pain. They often overlook the pain! You need to find a doctor that will work with you! It took me 5 oncologists to find one that I liked!